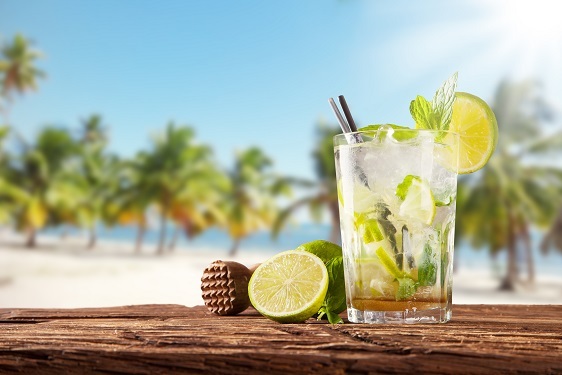 Mojito is a traditional alcoholic beverage of Cuba, the Highball. The drink consists of white rum, sugar cane juice, lime juice, sparkling water, and mint, or as it is called in Spanish, yerba buena. Actually the drink gets its name from the type of mint used, which is mojito. Mojito (the herb) is a native plant to Cuba, and was previously unavailable in North America but thanks to Toronto mojito enthusiast Catherine Nasmith who visited Cuba in 2006, we now have the authentic plant from Cuba. It is not only used in beverages, but mojito mint also makes a great seasoning for meats and confections (Helping Gardeners Grow). Mojito has a clearly distinctive flavor from most other mints. The scent and flavor are mild and warm, not pungent nor overly sweet like other mints. Recent medical studies have reported that the smell of mint has been proven to stimulate brain activity and could be useful before taking a test of any type, such as in school or collage. Other herbs, such as rosemary, and sage have been reported to do the same. When making a Highball, you can use any fruit you wish, just so long as you use the mint, mojito. Unless your not a person of tradition, and that’s OK. Here are links to some recipes here at Splendid Recipes and More where mint was used. Not specifically mojito, but it can be substituted in place of the common fresh variety you can purchase at your local market. If you are not into drinking alcholic beverages, then you may be interested in cooling down with another type of mojito beverage: Blackberry Mojito Tea Lemonade. 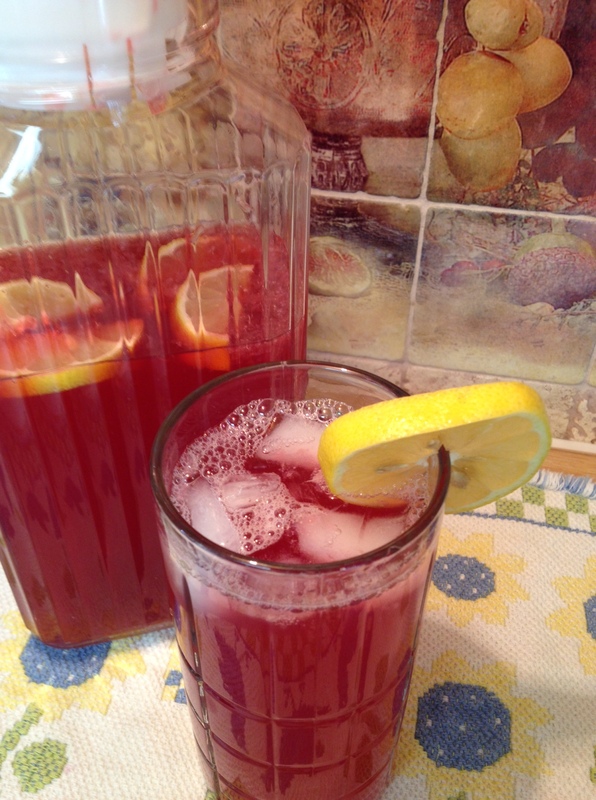 Today is the annaversary, so to speak, of Splendid Recipes and More, posting the recipe for the lemonade beverage. It was first posted July. 15, 2014, and to-date has had 4,383 hits. Most of the hits have come during the summer months, either in the northern (June-September) or the southern (December-March) hemisphere. Here is the link to the original post (click here) and following is a picture and the recipe. You’ll note there is no mojito, but is mixed in with the tea. The tea use was purchased at Tevana, and is available only during the summer months. Bring fresh water to a boil in a large sauce pot. The boil point should reach 175 degrees. Turn off heat and add the tea mixture, and steep for 10 minutes. Strain off tea mixture and add tea to a glass serving container. Stir in sugar, and add lemon juice and stir some more. 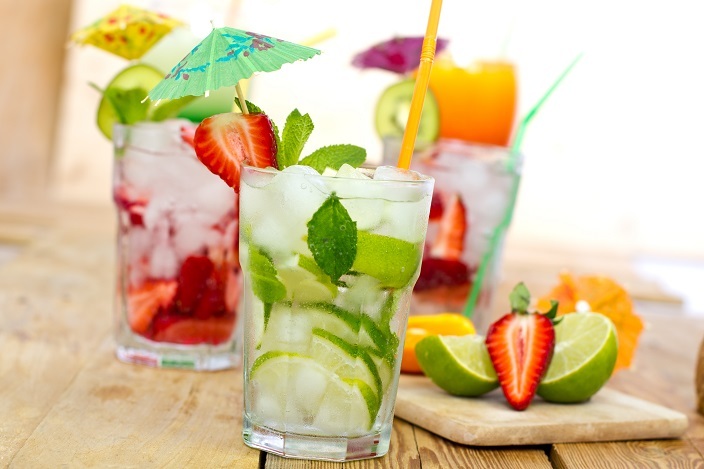 Enjoy Cooling Down with a Mojito Beverage. This entry was posted in Beverages and tagged brain activity, Catherine Nasmith, Cocktail, Cuba, gluten-free cupcakes, Lime (fruit), Margarita, Melon Berry Fruit Salad, mint lime dressing, mint salad, Mojito, mojito beverage, mojito lemonade, Muffin, Rosemary, Sage, Sangria, sugar cane juice, Syrup, Teavana. Bookmark the permalink.